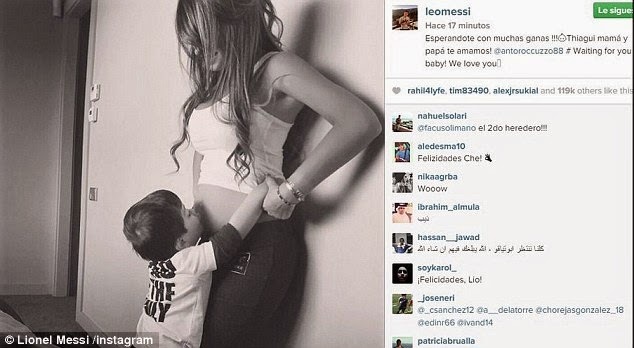 Lionel Messi has confirmed he is to be a father again after posting a picture of his pregnant wife on social media. And according to Argentine newspaper Clarin the couple already know they are due to have a baby boy and have a name for him. 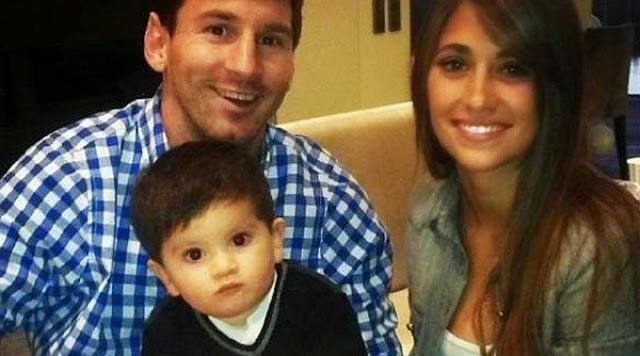 The couple are reported to have settled on the name Benjamin – the same name his good friend and international team-mate Sergio Aguero picked for his son. Messi and Roccuzzo’s first son, Thiago, was born in November 2012 and the Barcelona superstar has his handprints tattooed onto his calf. 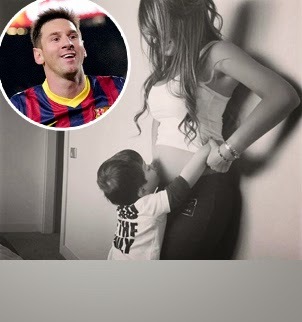 But one way Thiago has not followed his famous father is how he deals with the spotlight of fame. He has been spotted crying when his dad tries to take him out on the pitch.